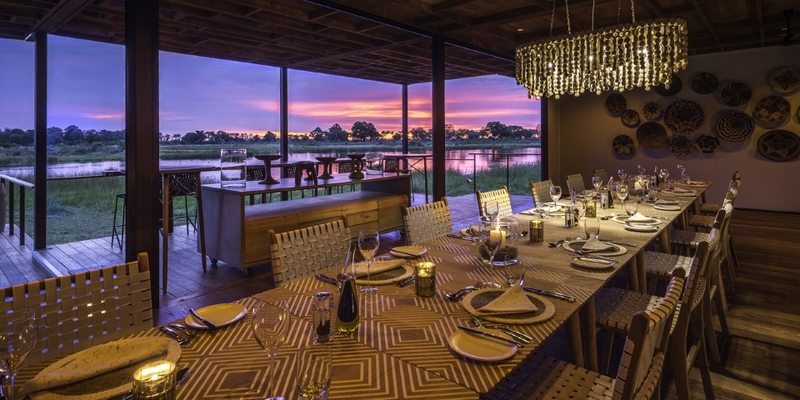 Qorokwe Camp, Wilderness Safaris’ newest camp in Botswana, is in an awesome, game-rich private area in the south-eastern reaches of Botswana’s Okavango Delta. This concession borders the well renowned Moremi Game Reserve on the east by the Gomoti Channel and the Santantadibe River on the west ensuring excellent game viewing year-round and the birding is also excellent. The area is typical of the Okavango Delta with seasonal floodplains dotted with palm islands, wooded islands and tranquil seasonal waterways and is one of the few great dry and wet combination camps when waters levels permit. 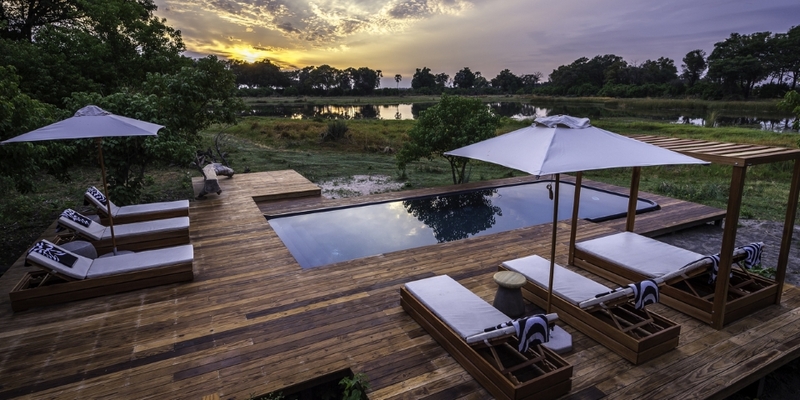 The camp itself is stunningly positioned overlooking a lagoon with resident Hippo. 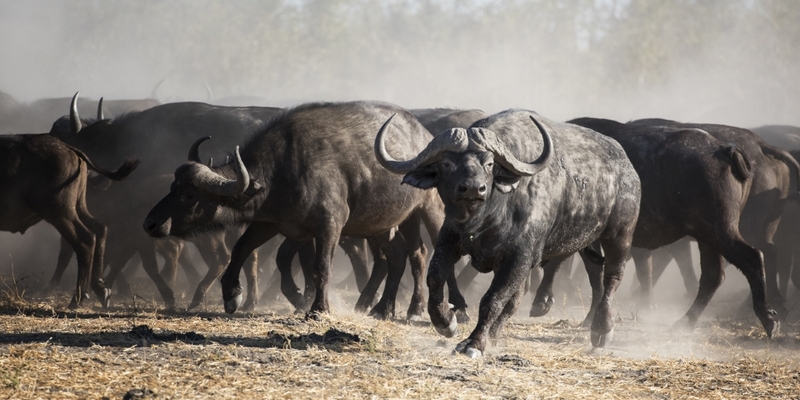 The name Qorokwe means “the place where the buffalo broke through the bush into the water" evoking the high-density game area in which this camp is situated. 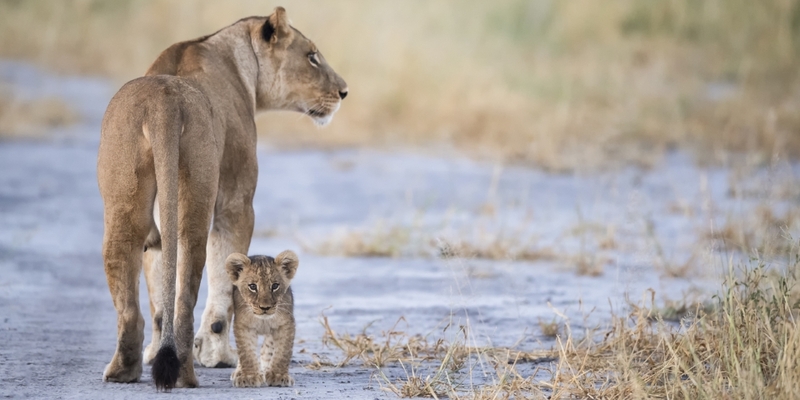 Being in a private concession Qorokwe Camp can offer bush walks and night-drives in addition to the usual game drives, and the highly knowledgeable guides at Qorokwe are allowed to drive off-road to get a closer look at animals. 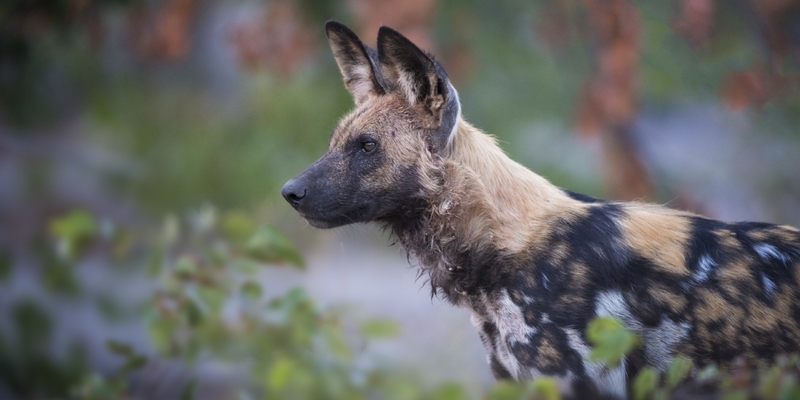 The wildlife in this area is incredible, with healthy populations of lion, leopard, hyaena, cheetah and wild dog as well as buffalo, giraffe and elephant. Morning and early evening game drives allow for thrilling encounters with Qorokwe’s awesome wildlife, which is plentiful year-round. Night-drives offer guests a chance to see the smaller more nocturnal animals with spotlights. Walking safaris are leisurely, and time is taken to observe the smaller things in the bush that would normally be missed on game-drives. Walking safaris can only be taken when the grass is short enough to be safe so not usually between February/March and June. Mokoro safaris can also be arranged, dependant on suitable water levels. These dug-out canoes are poled by an experienced poler in the shallower waters of the Okavango and are a wonderfully peaceful way to see the waterways. Qorokwe also has a secluded pool area which is in an ideal spot for an afternoon siesta between morning and afternoon game drives. Guests can relax on a pool lounger with a book and a cold drink from the bar. 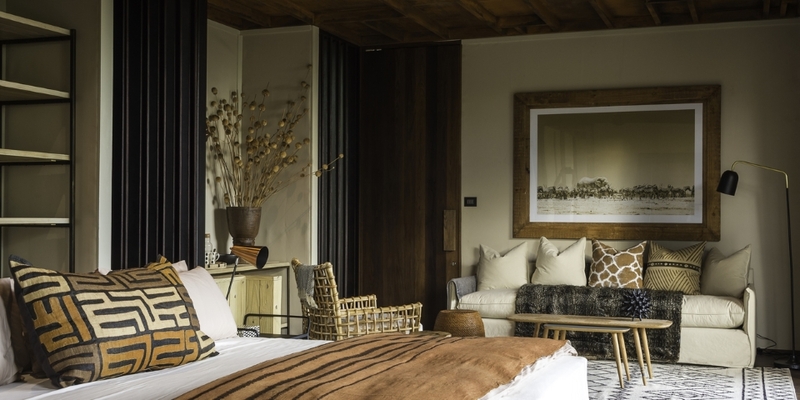 Qorokwe is a beautifully designed camp; the style is that of classic-meets-modern without being overly contemporary; it is a stunning combination of both. The camp is comprised of 8 twin/double luxury tented rooms on raised wooden decks to take advantage of the stunning view across the lagoon. Each tent comprises en-suite facilities with separate toilet, indoor shower with an inward opening door which gives the illusion of an outdoor shower experience, indoor bath, double vanity basin, private viewing deck with outdoor seating area, indoor lounge area, luggage rack, mosquito screen sliding doors and mosquito net, writing desk and chair, tea and coffee making facilities, electronic safe, multi-plug adaptor with USB points, an umbrella, yoga mat, weights and hairdryer. There is also a stunning 2 bedroomed family unit with its own dining table, fireplace and plunge pool. 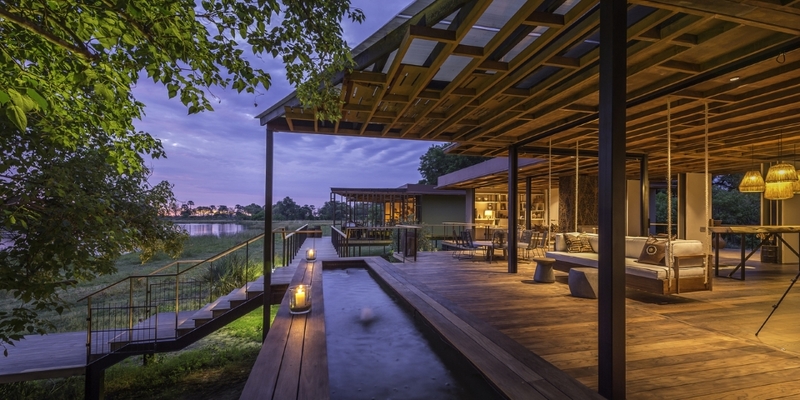 The main area comprises dining, lounge and bar areas with fire places and relaxation areas (including hanging beds) on elevated wooden platforms, a fire-pit area on ground level, a pool, curio shop, Pizza oven and a traditional boma for dining under the stars.